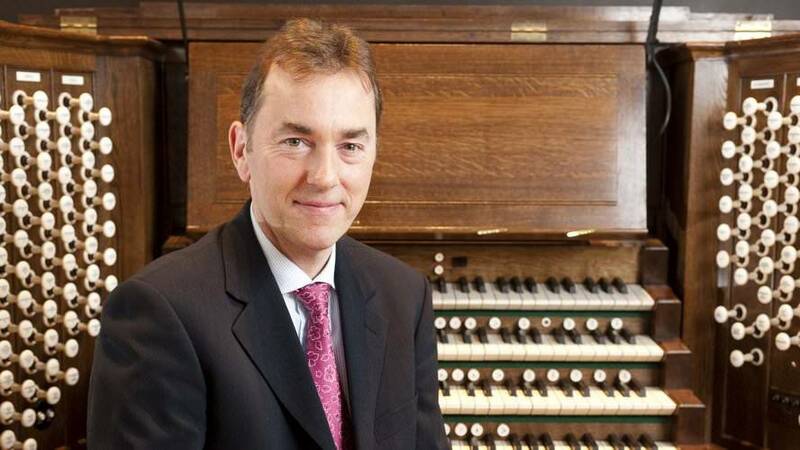 One of England’s top organists will perform Sunday to close out Friends of Aeolian Skinner, Opus 1024’s 10th anniversary season. Thomas Trotter, who regularly performs around the world, will play at 7:30 p.m. Sunday at St. Andrew’s Episcopal Church, 1601 S. Georgia St. Trotter also will perform a concert for area students to be livestreamed from the church at 10 a.m. Monday at PanhandlePBS.org. Trotter said he has “chosen a very appropriately colorful program” to take advantage of the church’s organ, designed by G. Donald Harrison and restored to the tune of $1 million-plus. The concert program will include selections by Johannes Sebastian Bach, Wolfgang Amadeus Mozart and Franz Liszt, “and also a very colorful transcription of ‘The Sorcerer’s Apprentice’ by (Paul) Dukas that will bring in more romantic (sounds),” Trotter said. “The more you get to know about something, the more you realize you know very little about it,” he said. Though he has never played on FASO’s organ, he studied its specifications and is familiar with its sister organs. For information, call 806-376-6316, ext. 105, or visit www.fasoamarillo.org. * Chip Chandler is a digital content producer for Panhandle PBS. He can be contacted atChip.Chandler@actx.edu, at @chipchandler1 on Twitter and atwww.facebook.com/chipchandlerwriter on Facebook.